Yesterday we went to the beachside suburb of Manly. 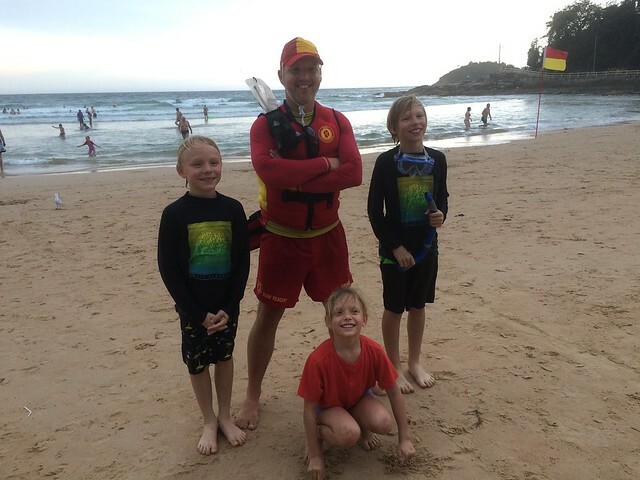 The boys loved the big waves and were safe thanks to one Manly lifeguards. They are one of the oldest lifeguard teams in the world, having been formed in 1903 after 17 people drowned in the first official bathing season the year previous. He has a passing resemblance to comedian Jason Sudeikis. The founder of Sydney, Captain Arthur Phillip named the area “manly” because of the masculine characteristics of the aboriginal people of the area. He was speared in the shoulder there, which is quite a masculine thing to have happen to someone. 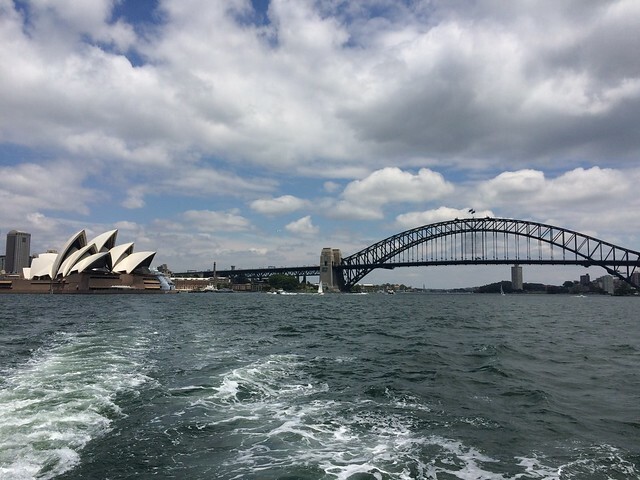 We took the ferry from Circular Quay to Manly and had some great views of the Sydney harbor (below). The only bad part of the day was the rain in the afternoon, which drove everyone home and made for a crowded ferry ride back home. We had Christmas dinner and Skyped with a many family members as we could reach. We spent Christmas Eve, Christmas Day, and Boxing Day mostly around the apartment in Chatswood. Some locals nicknamed it “Chatswoo” due to its high Chinese and other Asian immigration population. We did notice many Asians and at times it felt like we are still in Japan. 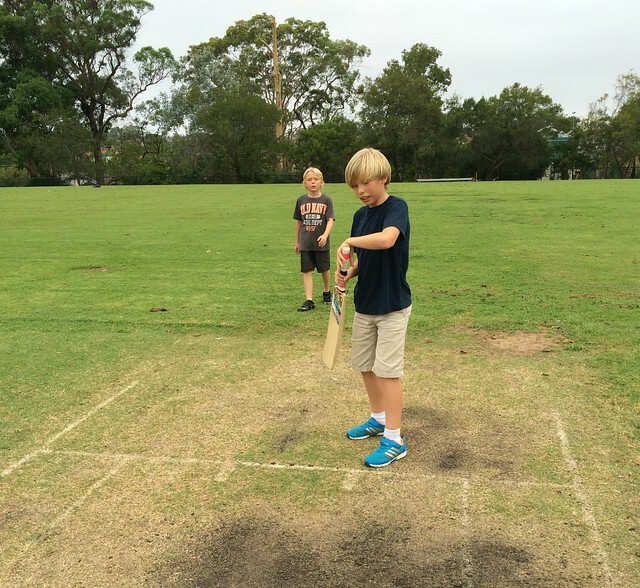 Owen showed an interest in the Aussie sports of cricket and football so I took the kids to a nearby oval to play. Tonight we leave Sydney for Byron Bay. I can see why Sydney is one of the world’s great cities! The massive harbor and weather are magnificent. The city is relatively safe, organized with a high quality of life. The one bad thing is the high cost of living which surprised me coming from Japan. I found it more expensive here than in Osaka. This trip also reminded me of the unique flora and fauna of Australia, which is one of the biggest attractions for me to the country. Sydney is a little too big for me and I prefer life on the west coast. I am looking forward to watching the Boxing Day Test Cricket Match today from the MCG between Australia and India. Our family has a close relationship to the wonderful country of Australia. Nadia grew up in Melbourne and we lived in Perth while she was going to Murdoch University. She would like to move back someday here and we are considering sending our children to university here. It didn’t feel like our usual Christmas this year as we are traveling. It will be nice to be reunited with family this weekend. I’ll be posting from Byron Bay later.